Have you used Winston Grammar? 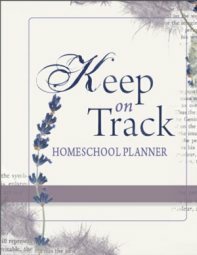 Read what other homeschoolers say about the Winston Grammar Homeschool Curriculum. Winston Grammar is an incremental, multisensory approach to understanding grammar. With the use of colour coded cards, the homeschool grammar program teaches the functions of parts of speech incrementally - one step at a time. New cards are added one at a time and the previously learned cards are reviewed continuously. It is sensory in its approach because you visually see the coloured cards and associate it with a part of speech, move it around to build the sentence, express what the word does (its function). The Basic Level of Winston Grammar covers concepts such as nouns, verbs, adjectives, adverbs, prepositional phrases, appositives, interjections, and direct and indirect objects. Since almost all grammar concepts are abstract, it is appropriate to teach the basic course to students in grades 4-5. Understanding traditional grammar is a necessary skill for any person in any age! The Winston Grammar Program doesn't follow the traditional approach, but instead has created an innovative course that focuses on using color-coded cards and workbook exercises, through which students learn nouns, verbs, adjectives, adverbs, prepositional phrases, coordinating conjunctions, interjections, nouns of direct address, subjects, direct and indirect objects, and appositives through moving, seeing, hearing, and speaking! The teacher's guide accompanies each page in the included student workbook with a list and picture of the cards used; the concepts under discussion; directions for using the cards; a possible script; model lesson; important information; quiz options; suggested problems; and concepts students should make sure they know. Worksheet instructions and answers are also provided in the teacher's guide. The student workbook features the practice sentences students will use to identify the parts of speech, as well as a pre-test and post-test. The color-coded cards help instruct students on the parts of speech, what they do, and how to identify them as they work their way through a sentence. 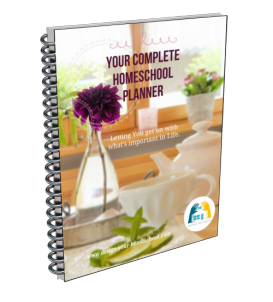 1 Teacher's Manual, 69 pages, plus worksheet answers, softcover. Student's Workbook, 30 worksheets plus post and pre tests, perforated, non-reproducible pages. 8 big noun function cards and 42 smaller cue cards, all color-coded. All elements come in a Velcro-closure, clear vinyl case. The Advanced Level covers all the rest of the parts of speech such as infinitives, gerunds, and participles, and deals with complex sentences. It can be taught in year 7 or 8 and stretched out over two years. It covers everything needed for high school and college. Continue your child's grammar study with the introduction of possessive forms, pronouns, verbals, and clauses, while also reviewing earlier lessons on parts of speech, noun functions, prepositional phrases, and modification. Kit includes teacher's manual; student workbook with work sheets 31--85, quizzes, and posttest; answer keys; and advanced cue card set---all in a handy vinyl storage case. Grades 8 to 12. Softcovers, from Precious Memories. Winston Word Works is a grammar application program. Here's a grammar application program that helps prevent the five most common usage problems in the English language. Give your children a clear understanding of subject-verb agreement, personal pronoun functions, interrogative pronouns, comparatives and superlatives, and troublesome words (like good/well). Includes a student workbook with worksheets, tests, and quizzes; teacher's manual; and exercise cards. Note: This program is to be used any time after completing the Basic curriculum. Softcovers, from Precious Memories. Using the concepts learned previously in Winston Grammar Basic Level or the equivalent, Word Works covers the five most common usage problem areas encountered in the English language. Contains 40 worksheets, a pre- and post-test, and four quizzes. This program can be done between the Basic and Advanced level of Winston Grammar. This is my favourite grammar program. I have used the Basic and Advanced levels with all of my children and love the way it teaches the functions of the parts of speech. The program comes with an activity book in which students mark the function of the words. Important questions which help you work out the function of different words can be found on this language arts page. Once understood, the method and cards can be used on all sorts of sentences as review.